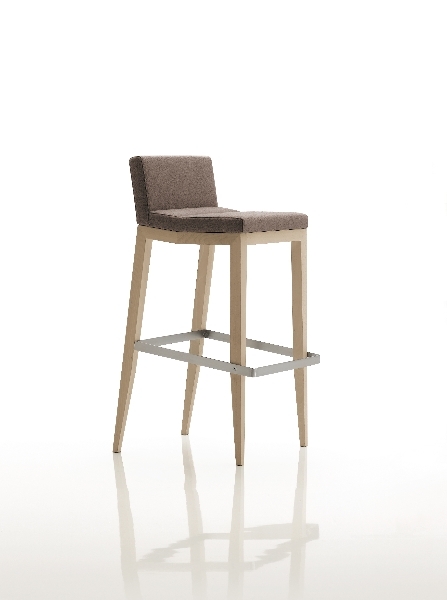 Stool made in fire-resistant cold-foamed polyurethane with metal structure and multilayers wood. Covering in fabric, microfiber, leather or ecoleather. Wooden base in ìcanalettoî walnut or beech also lacquered on request. Footrest in stainless satin steel.